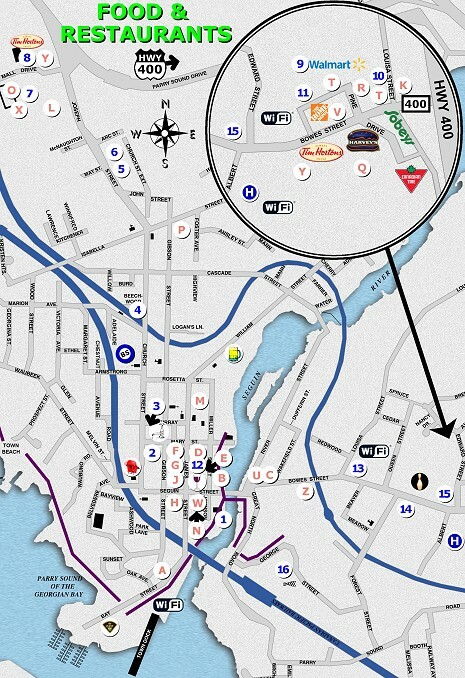 FOOD and RESTAURANTS in the TOWN of PARRY SOUND Use the FOOD & RESTAURANTS Map to Discover Parry Sound! Find marked ( ) establishments on Map. Numbers on map represent Sponsors not listed below. Enjoy!